Ferguson PLC (LON:FERG), today announced interim management statement for the 3 months to 31 October 2018. − Ongoing revenue 8.5% ahead of last year, including 6.7% organic growth. − Gross margin of the ongoing business was 29.6%, 0.5% ahead of last year. − Ongoing trading profit of $432 million was 9.9% ahead of last year. − Invested $284 million in acquisitions in Q1. 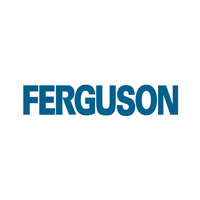 “Ferguson continued to perform well in the first quarter with good organic growth in the US of 9.6 per cent in supportive markets. Growth in the US was widespread across all geographic regions and major business units. Canada continued to grow against tough prior year comparatives and the UK also grew modestly on a like-for-like basis. “Since the end of the quarter, the US has continued to grow well and the current indications are that growth will continue in the months ahead. As a result, we expect trading profit for the full year to be in line with analysts’ expectations. 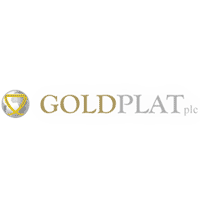 The Group generated revenue of $5,554 million in the first quarter, 9.0% ahead of last year at constant exchange rates and 6.7% ahead on an organic basis. Gross margin continued to improve, up 50 bps to 29.6%, as a result of recent acquisitions and the exit of low margin wholesale business in the UK last year. Operating costs were well controlled and trading profit of $432 million was 10.2% higher than last year at constant exchange rates. Exceptional costs of $6 million were incurred and related to the previously announced UK restructuring programme. There is one fewer trading day this year compared to 2018, which falls in the second quarter. 1) ‘Ongoing businesses’ excludes businesses that have been closed, disposed of or are classified as held for sale. 2) Before exceptional items and amortisation of acquired intangible assets. 1 The UK revenue growth rate is presented on a like-for-like basis to remove the impact of closed branches and the exit of low margin business. Our US business grew revenue 9.6% on an organic basis, which included price inflation of about 3%, and acquisitions contributed a further 2.4%. All of our business units generated organic growth in the quarter, with continued good demand from residential and commercial customers. Industrial markets also continued to grow very well. The revenue growth rate in the B2C business was lower, as we continue to consolidate pay-per-click advertising spend around fewer trading websites, which resulted in an improvement in trading profit in the period. Gross margins were ahead principally as a result of recent acquisitions. Operating expense growth included labour cost inflation of about 4% and distribution costs were higher due to inflationary pressures. Trading profit of $400 million was 10.2% ahead of last year. Acquisitions completed during the quarter had total annualised revenue of $216 million. The most significant of these was Jones Stephens, a master distributor of own brand plumbing products, as disclosed with the Full Year results. Since the end of the quarter we acquired Robertson Supply a residential and commercial wholesaler with 8 branches in Idaho and Oregon with annualised revenue of $50 million. Like-for-like revenue growth was 1.5% in the quarter which included about 2.5% of price inflation. This reflected weak repair, maintenance and improvement markets. Total revenue was down 9.5% on a constant currency basis due to closed branches and the exit of low margin business. Underlying gross margins were slightly ahead. Trading profit of $19 million was $2 million lower than last year at constant exchange rates mainly as a result of investment in the B2C platform. The previously announced restructuring actions are on track for completion this year. Organic revenue in Canada grew by 3.3% against tough prior year comparatives with acquisitions contributing a further 5.6%. Ontario, Atlantic and Quebec regions grew well though our business in Western Canada was slightly lower. Gross margins were ahead of last year and trading profit of $27 million was 24.8% ahead of last year at constant exchange rates. One small acquisition was completed in the quarter with total annualised revenue of $11 million. The disposal process for Wasco is on track and the business continued to trade well in the quarter generating revenue of $81 million (2018: $74 million) and trading profit of $3 million (2018: $2 million). Net debt at 31 October 2018 was $1,599 million after a cash outflow of $266 million relating to acquisitions, capital expenditure of $163 million and normal seasonal working capital outflows. In October we raised $750 million of public bonds at 4.5% with a ten year maturity. The final dividend of 131.9 cents per share will be paid to shareholders on 5 December 2018. There have been no other significant changes to the financial position of the Group. Since the end of the quarter, the US has continued to grow well and the current indications are that growth will continue in the months ahead. As a result, we expect trading profit for the full year to be in line with analysts’ expectations. Click FERG for the full archive.